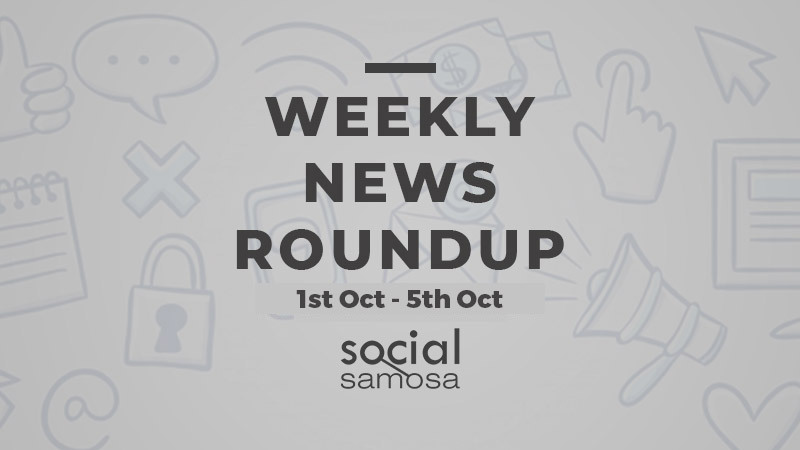 Social Samosa brings you all the latest news, platform updates and trends dominating the digital ecosystem. Social Media News this week was dominated by Instagram where it’s founder duo quit Facebook and Adam Mosseri was declared Head Of Instagram, Twitter launched in-stream ads and more. WhatsApp may soon roll out ads on the iOS version. There’s no official statement from WhatsApp out yet but the news was first spotted at a story covered by TNW. Read more here. Facebook is reeling under serious data security threats as recently 50 million accounts fell prey for hacking where the profiles were directly accessed. Here’s how it all transpired… Read more here. The current Vice President of Product, Adam Mosseri, has been announced as the new Head Of Instagram by co-founders Mike Krieger and Kevin Systrom following their departure. Read more here. Publishers can now unlock more revenue with Twitter In-stream Video Ads and monetize their entire global video audience. Read more here. Facebook is testing a new feature which would let users see their friends’ locations that are nearby, this may be an improvement of the opt-in feature launched four years ago known as ‘Nearby Friends’. Read more here. Instagram is testing a prototype which would let it share the users’ location history with Facebook. Read more here. WhatsApp has started to roll out PiP feature for Android Beta users, the feature has been available foriOS users since January. Read more here. Instagram is on the spree to add more features to the platform to make picture sharing and self-profiling more engaging. One such feature that has joined the bandwagon is ‘Nametag’ on the app. Read more here.